So, what is so fantastical about the lucky number 7? And is the magic also found on slots with 7 as a symbol? Note that there are seven continents, seven seas, seven colours of the rainbow, seven wonders of the world and seven notes on the musical scale. The mystery does not end there, many major religious events are involved with number seven. In Christianity, the world was created in six days and Yahweh rested on the 7th. Nebuchadnezzar the King suffered for seven years and there are seven deadly sins. Buddhism talks of the 7 energy chakras in our bodies. Of course, science, time and mathematics had to be tied to number 7. According to Pythagoras, 7 is the perfect number. We have 7 days of the week. Roll two six-sided dices and 7 has the highest number of combinations of number pairs in both dice. Combine the enigma of 7 as a symbol and bright colours, at Playtech’s Crazy 7 slot. The slot comes in three different colours; blue, red and green. With simple rules and a cartoon-like soundtrack, this slot is only excitement and fun. Land three number 7 symbols to win a huge amount of coins. You will receive 75 coins for all-green or all-blue symbols and a whopping 400 coins for all-red 7 symbols. 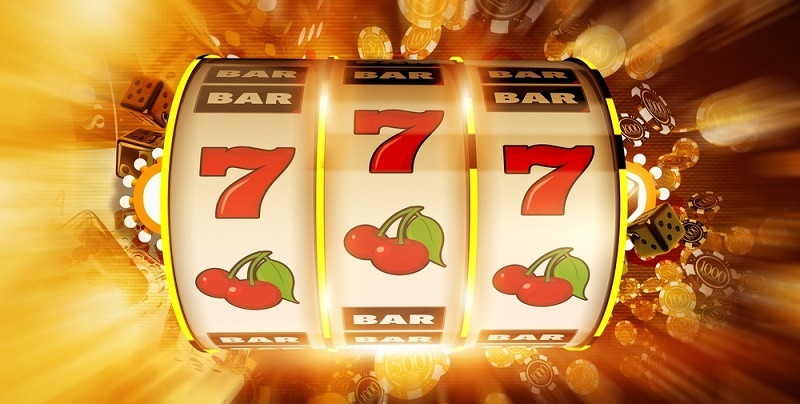 Lucky 7 is one of the simplest games by Betsoft but the payouts are huge. Yes, this 3-reel and 1-pay line slot does not have wilds, scatters or bonuses. But the win or lose situation is riveting. The design is user-friendly, with options for both wide and full view. If you are after thrill on a one-armed bandit slot machine, Lucky 7 is a brilliant choice for you. Jackpot Jamba is a 5-reel and 9-pay line slot by Betsoft Company. The slot is designed to transit you into a festive mood with a party backdrop, huge pay-outs and fruit juices. Play Jackpot Jamba and win a Party 7s Bonus round or progressive jackpot. To experiment, ask up to 5 people around you, of their favourite number. If you are lucky, (no pun intended) most people will say number 7. Without a doubt, 7 is a magical number; since when Babylonians knew of only 7 planets to now, when it’s a slot thrill-pack.